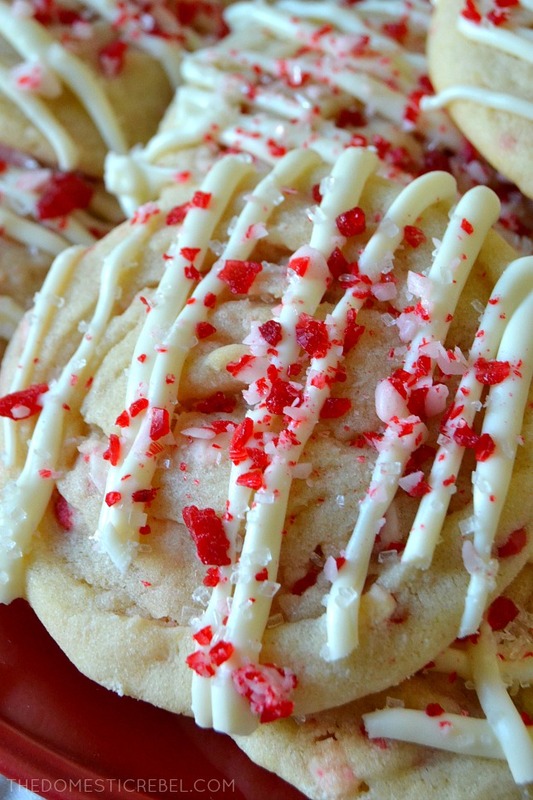 These Peppermint Crunch Sugar Cookies are what minty dreams are made of! 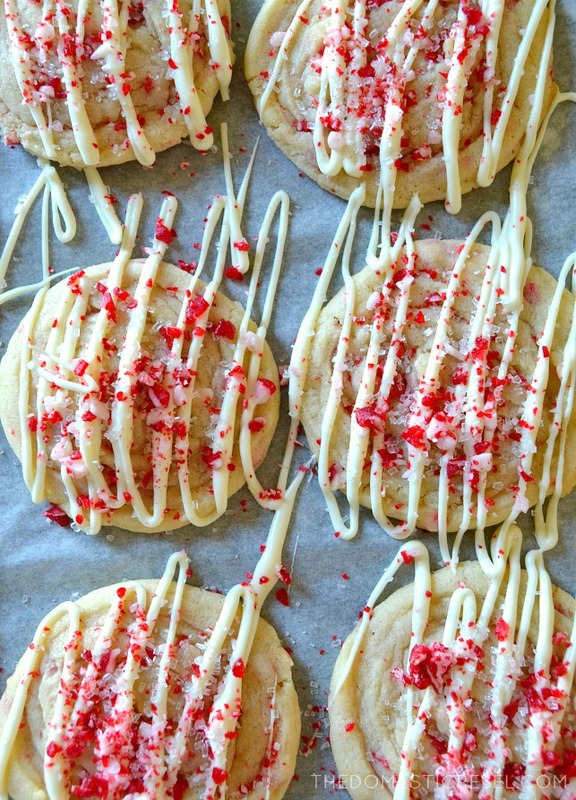 Buttery, tender sugar cookies flavored with peppermint crunch candies, a drizzling of white chocolate, and crushed candy canes. Delightful! So as you know, a lot of tragedy has struck the United States and the rest of the world as of late. Hurricanes, earthquakes, typhoons, and wildfires, to name a few. It’s just so horrible. Even though my state (California) seems to catch fire every summer, this year was particularly tragic as it directly affected someone I know: my former boss and coworker, Vanessa. Vanessa lived in Santa Rosa, a part of the Bay Area near Napa that was directly hit with raging wildfires. Her neighborhood, community, and home were completely destroyed in the blaze, leaving nothing but rubble and the eerie sight of brick fireplaces standing like soldiers among the debris. Sometimes it’s hard to understand the gravity of these natural disasters if you aren’t directly linked to someone (or are someone) who has lost everything. It just seems like a far-away tragic event that you have no real connection with; I get it. We donate our time and money if we can spare it, and we send our thoughts and prayers. But knowing my sweet, bubbly former co-worker’s house was completely obliterated kills me. I figured there had to be something I could do to brighten her day a little more, even if I couldn’t afford to donate financially. So when my friend Bridget and Imperial Sugar teamed up with their #GiveAFriendACookie campaign and asked me to be a part of it, I jumped at the chance. The idea is simple: Give a friend a cookie. It could be someone you know whose lives were touched by these tragedies, first responders in the heart of the disaster, or a pal who may have a link to someone directly affected. It’s just one small way we can tell those affected that we love them, we’re thinking about them, and we are here for them during this excruciatingly difficult time in their lives. Vanessa and I used to work at a frozen yogurt shop and her favorite yogurt flavor was always mint! Homegirl is obsessed with mint and would put all the mint in her cup: crushed mint cookies, mint chips, and chocolate. 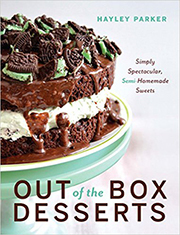 So I knew that I had to make something minty for the queen of mint herself, and these cookies are the perfect craving-crusher for any mint lover! The base is a buttery, super tender sugar cookie with almost a soft shortbread-like texture. I tossed in almost an entire bag of Andes Peppermint Chips which add great crunch and amazing flavor. Once the cookies were baked and cooled, I drizzled the tops with melted white chocolate and sprinkled on some crushed candy canes to really drive that mint flavor home… and because candy canes are so pretty and festive! 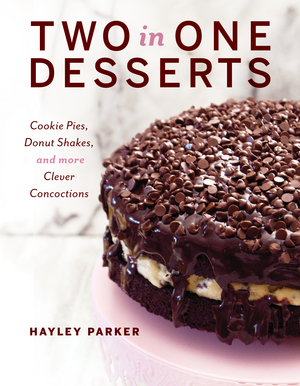 The result is a supremely soft and buttery peppermint cookie with a hint of addictive crunch everyone will love… including most of all, my sweet coworker Vanessa. 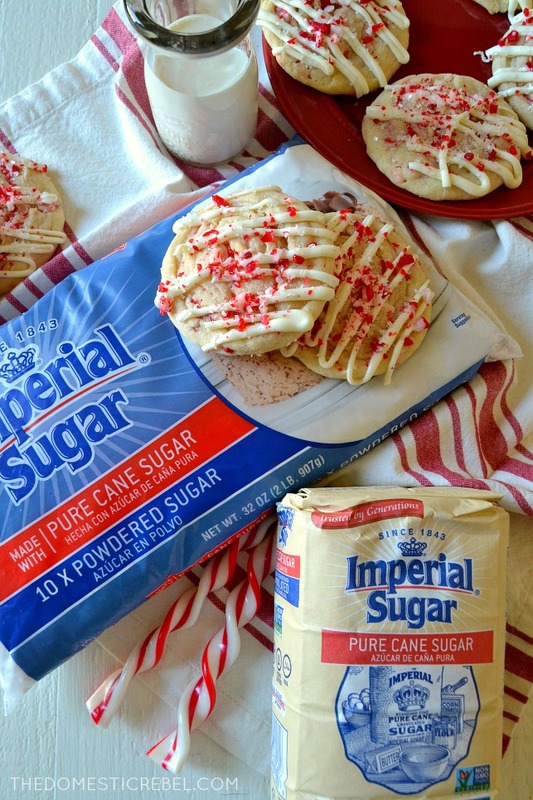 This holiday season, please join Imperial Sugar and I by sharing a cookie recipe with a friend, family member, coworker or neighbor who may be affected by these tragedies, and be sure to use the hashtag #GiveAFriendACookie! 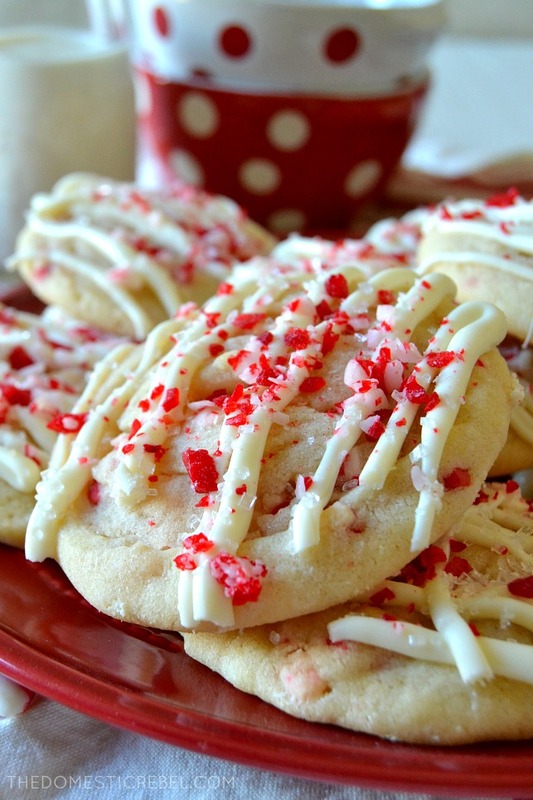 These Peppermint Crunch Sugar Cookies are perfect for any mint lover! 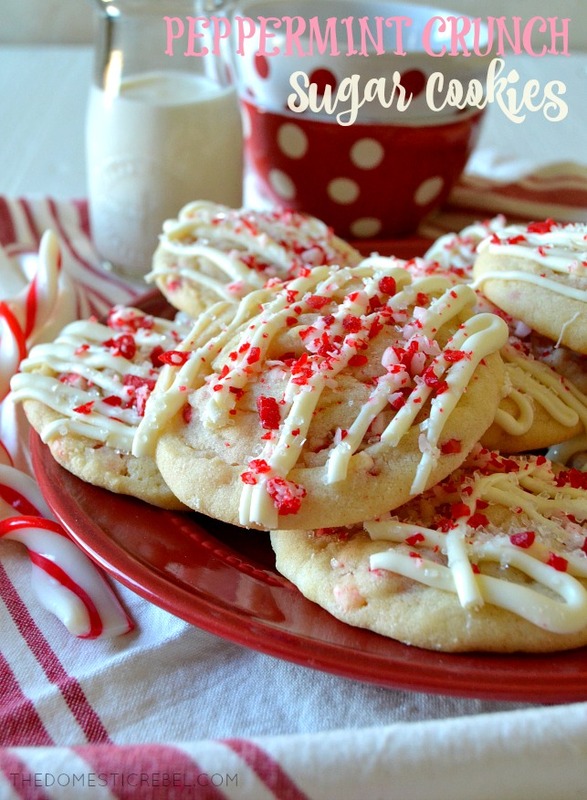 Buttery, tender sugar cookies bursting with crunchy mint candies and crushed candy canes. 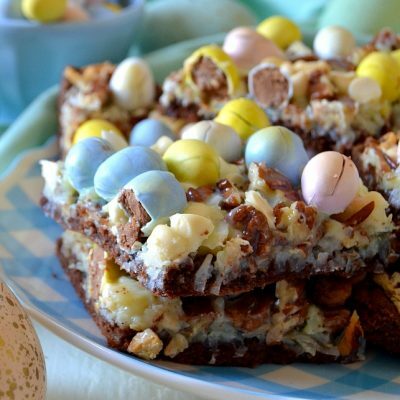 The drizzle of white chocolate sends these cookies over the top! In the bowl of a stand mixer, cream the butter until fluffy, about 1 minute. Slowly beat in the oil, sugars, and extracts until combined. Beat in the eggs, one at a time, mixing well after each addition. Gradually add in the dry ingredients and mix on low-speed until incorporated, scraping the sides of the bowl as needed. Beat in the peppermint chips until combined. Cover loosely with foil or plastic wrap and chill for 2 hours. Chilling is MANDATORY. Preheat oven to 350 degrees F. Line 2 baking sheets with silicone liners or parchment paper. Drop rounded Tablespoonfuls of dough onto the baking sheets about 1-2" apart. Bake for approximately 9-11 minutes, rotating pans halfway through the baking time to ensure even cooking. Cool completely on the baking sheets. Once cookies are cooled, melt the white chocolate chips and heavy cream together in a small bowl for 30 seconds in the microwave. Stir, then heat for another 10 seconds until melted and smooth. 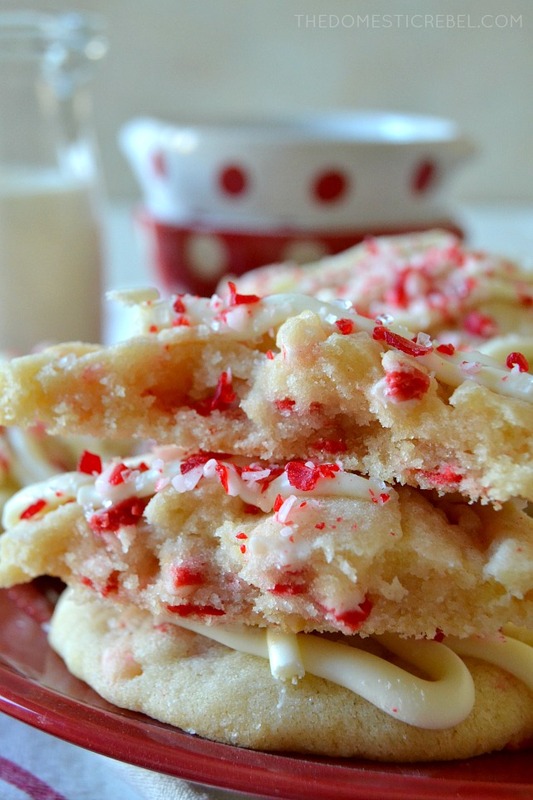 Drizzle evenly over the cookies and immediately top with crushed candy cane sprinkles. I love the texture of these cookies: light, fluffy and so tender, and the buttery, pepperminty flavor is awesome, too! Hop on over to these blogs to see their posts for the #GiveAFriendACookie campaign! In the interest of full disclosure, I was asked by Imperial Sugar to participate in this program. Sugar was provided for me in exchange for a cookie post. Thank you for supporting the brands that keep my blog alive! I hope Vanessa is doing well and starting to get her life back to normal. Wow…that is devastating. I love that you made these just for her and her love of mint. That drizzle is gorgeous! These cookies sound soooo good, and they look so festive! Thank you, Sue! I love them! these are gorgeous and the flavors! YUM <3 perfect for the holiday and a pick me up! Girl, give me ALL the cookies. Holy cow, these look amazing and so festive! These are so much fun, would disappear in no time flat around here! These cookies look SO cute and perfect for the upcoming holidays! I baked these cookies today stir up holiday spirit, and they were a hit! These cookies are awesome! Thank you!